VS2-8 Fix Update – Repaired! As some may recall, from my last post, the ‘replacement’ transmission for The Ghost ended up being an incorrect ratio (non-ideal) and would require some fancy footwork on the old transmission to make things work. Well, all that work is now complete and The Ghost is back into operational status! 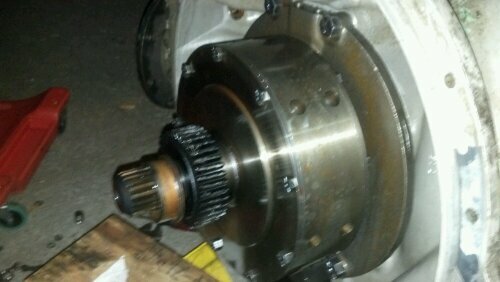 The transmission repair and replacement ended up being a breeze. Using the good overdrive planetary + clutch pack from the ‘new’ transmission to install on the damaged ‘old’ transmission, I ended up with a fully functional (and hopefully happier shifting!) overdrive! 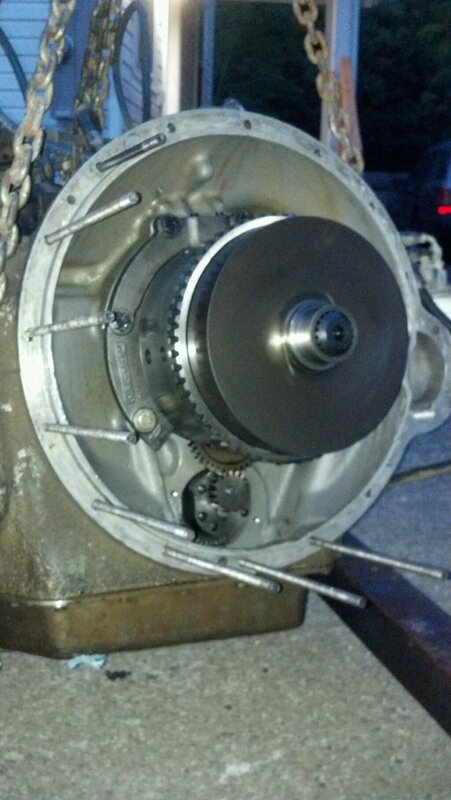 The transmission pan (upon inspection) was rather clean and while in there I added a couple 1/4″ washers to the pressure regulator spring stack on the fluid pump to give a little extra pressure in the heat. 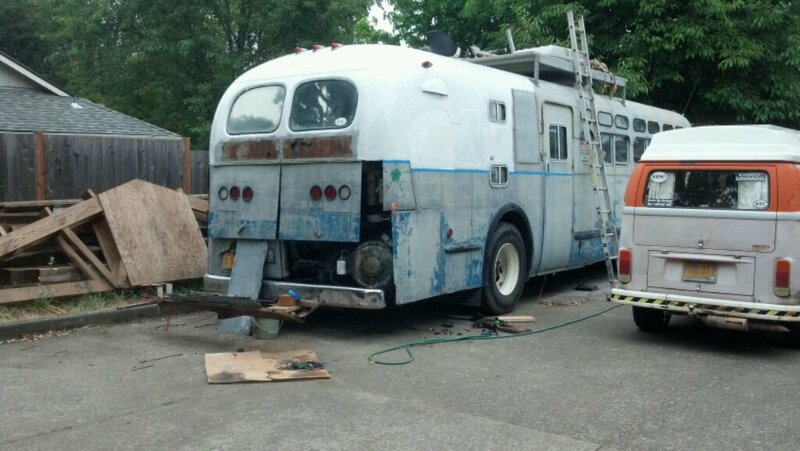 The only remaining projects are to cut the hole for the transmission oil cooler in the side door, tidy up a couple little leaks, and do a final hose/bolt check after the NorthWestMogFest shakedown run! I snapped some photos through the process randomly so enjoy! The freshly cleaned flywheel housing with good used bushing installed in the flywheel. 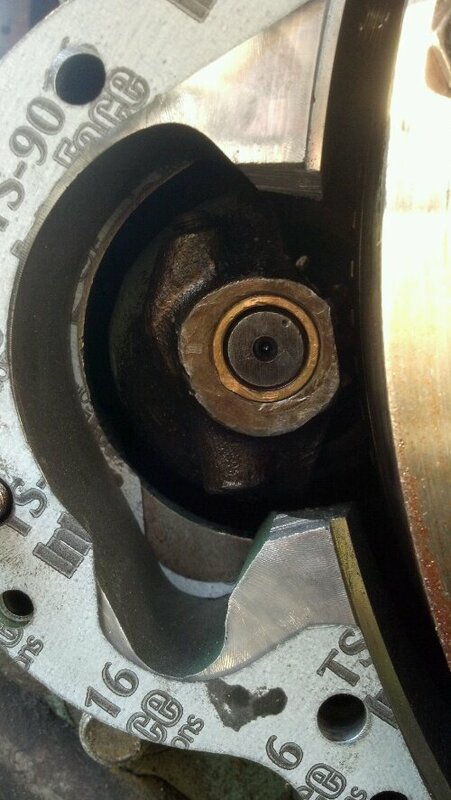 This bushing was from the ‘new’ transmission and fit so tightly that I have no issue using it versus machining a new one. 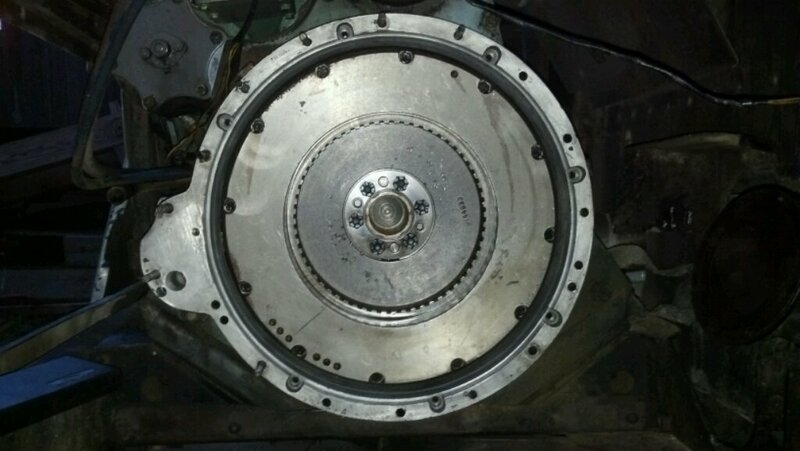 A photo (for documentation) of the required modification (in addition to shaving the ring down for proper end-play) to the spacer ring around the starter area for clearance. 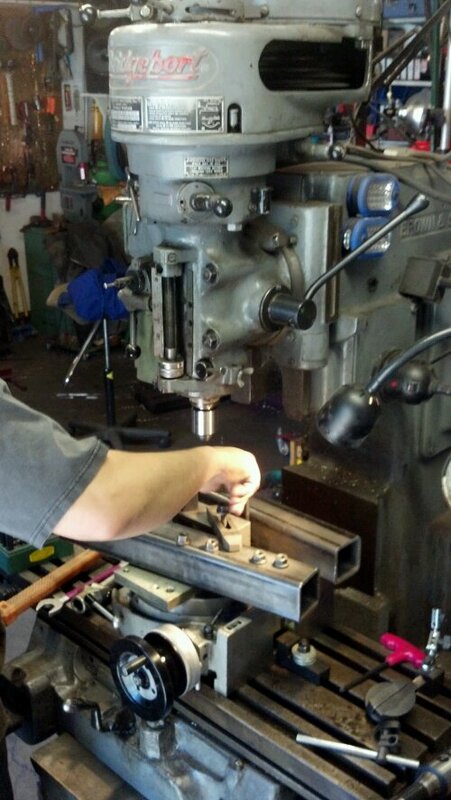 Here’s a photo of the milling bed being set up to shave down the bellhousing spacer (removed 0.230″ from one spacer to properly set the end-play on the splitter O/D gear pack). Here’s another photo (thanks Andy!) 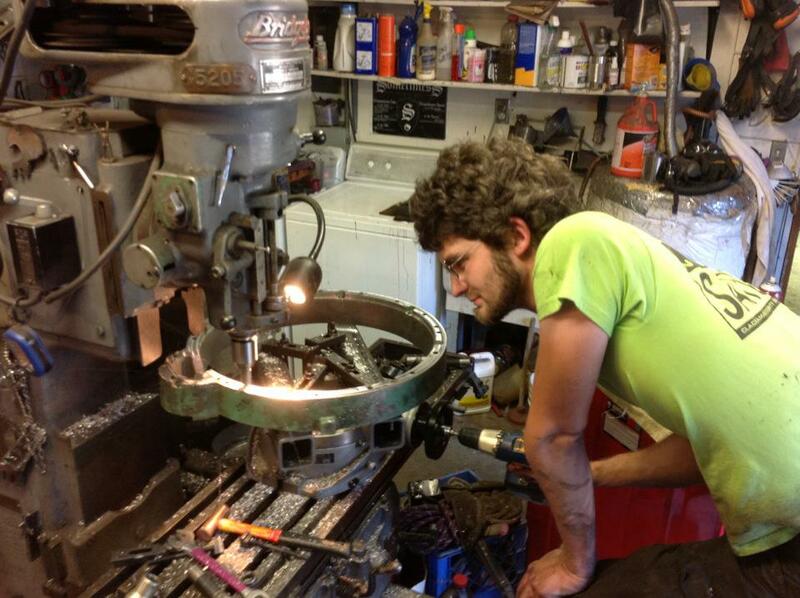 of me using a cordless drill to run the rotary table around while removing material off the spacer. Worked well! 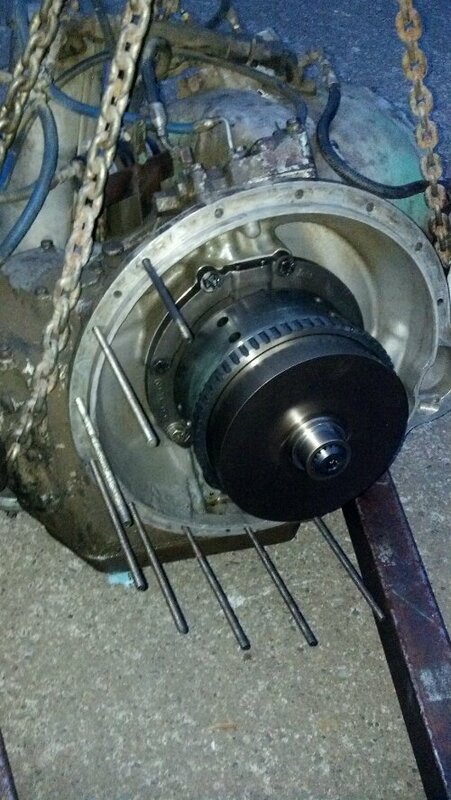 Here’s a photo of the ‘old’ clutch pack and sun gear assembly after removal from the ‘old’ transmission input shaft. You can see the black sun gear in the bottom left. 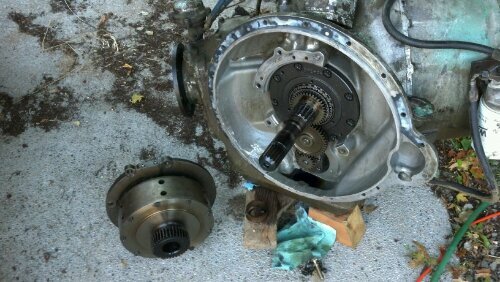 This is what I found (expected) when I removed the transmission. Blown up planetary gears and a damaged sun gear.